The company has always prided itself with its “hands on” approach, with our client’s projects ultimately overseen by our senior team. We have longevity with our team members and this in turn creates a positive and consistent working relationship with our clients and their projects. With a strong team ethos we are able to leverage on our employees’ skills and hence create favourable outcomes on our client’s behalf. Sebastian is one of our Executive Directors here at Harley Dykstra. 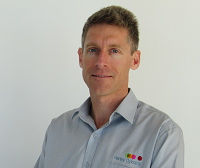 Initially heralding from Albany, Sebastian has over 20 years experience in land development and surveying and has the uncanny knack of being able to assess a property’s development capabilities within a matter of minutes. Astute and with a strong focus on creating solutions, Sebastian has assisted numerous clients over the years with actualizing the true value of their property, whether that be for the mining or construction sectors. With key character traits such as ambition, drive and talent Sebastian oversees both the Albany and Bunbury offices and has achieved ongoing growth for the company. Sebastian has also forged strong client liaison and consultation skills throughout his career, founded on a pro-active, ‘can do’ attitude. Sebastian is a qualified Licensed Surveyor and a member of the UDIA as well as the Surveying and Spatial Sciences Institute. Henry is one of our Executive Directors here at Harley Dykstra. Henry has over 25 years’ town planning and land development experience in both private consultancy and state and local government. Henry has been recognised as one of the most prominent town planning consultants responsible for the design, rezoning and project management of the construction of numerous residential estates in the southern districts of Perth. Henry has managed the planning and project implementation of numerous rural residential estates, both in the hills and on the Swan Coastal Plain. Henry has a comprehensive understanding of the complex issues that need to be addressed in the planning and development process and his subdivision implementation experience enables Henry to identify and address issues early on to avoid potential budget and schedule overruns. Preparation of Local Planning Strategy and Town Planning Scheme (and five year review of both), Town of Bassendean. In an advocacy role, Henry has represented numerous applicants at the State Administrative Tribunal and performed the role of Advocate/Counsel, and has also appeared as an expert town planning witness in numerous Tribunal and Supreme Court case hearings. Over the past decade, Henry has become more involved with new urban and commercial forms of development and design, with the preparation of Local Structure Plans for urban areas in localities including Forrestdale, Forrestfield, Kelmscott, Albany and Bunbury. Henry has also prepared numerous planning applications relating to commercial and activity centre developments including applications for multiple dwellings, mixed use developments, shopping centres, showrooms, convenience outlets, and various industrial developments. 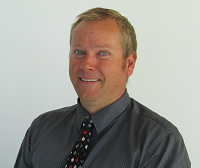 Dale joined Harley Dykstra as a Graduate Surveyor in 1995 in Bunbury and was then transferred to Busselton in 1997. 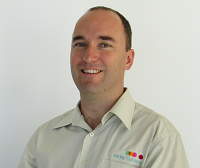 His natural ability for the industry and keen eye for detail allowed Dale to excel in his position, soon becoming Operations Manager for the Busselton Office in 2004, and a valuable senior member of the Field Regional Team in 2010. Dale has exceptional skills and survey experience in a variety of fields and industries, including MRWA road surveys, civil earthworks, structural and mechanical surveying, general mine surveys, specialist planning, visual modelling and analysis, cadastral (boundary) surveys, pre-calculations and computing. In particular his passion for technology has allowed the company to maintain pace with modern surveying practices such as automated machine guidance and drones. Dale is a member of the Surveying and Spatial Sciences Institute. David has over 12 years experience in providing professional planning services to private landowners, developers, and local government authorities, both locally and throughout Western Australia. 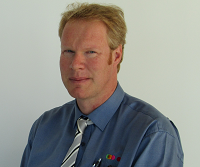 He started off his career at the Shire of Gingin as a Principal Planner before joining Dykstra Planning in 2004. Within one year, David’s commercial awareness, drive and ability was recognised and led him to become Director of Dykstra Planning alongside Henry Dykstra. After careful consideration and planning, David and Henry decided to seize the opportunity to build the company’s area of expertise by merging with Harley Global in 2013, now known as Harley Dykstra. David has specialist skills and experience in several fields, including the preparation and design of Structure Plans and subdivision applications, the preparation and processing of rezoning proposals, and the preparation of Development Applications for Planning Approval and Applications for Review. David has been called on by the State Administrative Tribunal, as an expert witness on Review matters relating to subdivision and development. He has vast experience in Project Management including negotiating development requirements, programming of subdivision works, organising design engineers, setting contracts and implementing subdivision conditions.